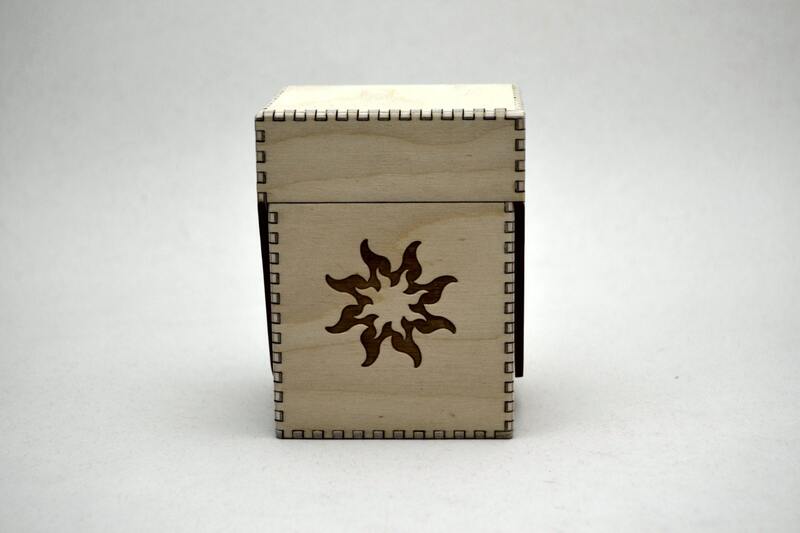 With a Sun design this box it is just the right size to hold an extended deck of popular fantasy playing cards that have protective plastic sleeves on them. Our unique flip top box design protects your valuable cards. The lid can only be pulled straight up and then it flips over without scraping the cards. Show up at a tournament with your deck in this box and they will know you are a serious player and that you have good taste! 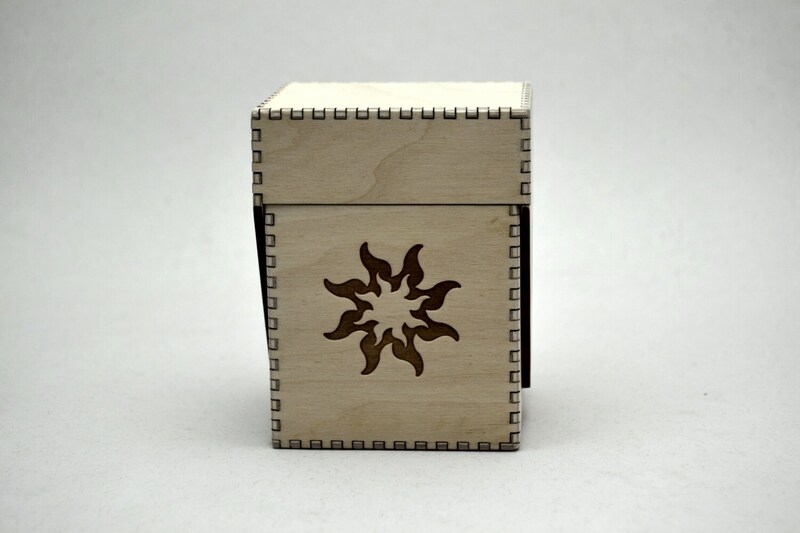 The inside dimensions of this box are approximately 2 and 3/4 inches x 2 and 1/4 inches x 3 and 3/4 inches tall. 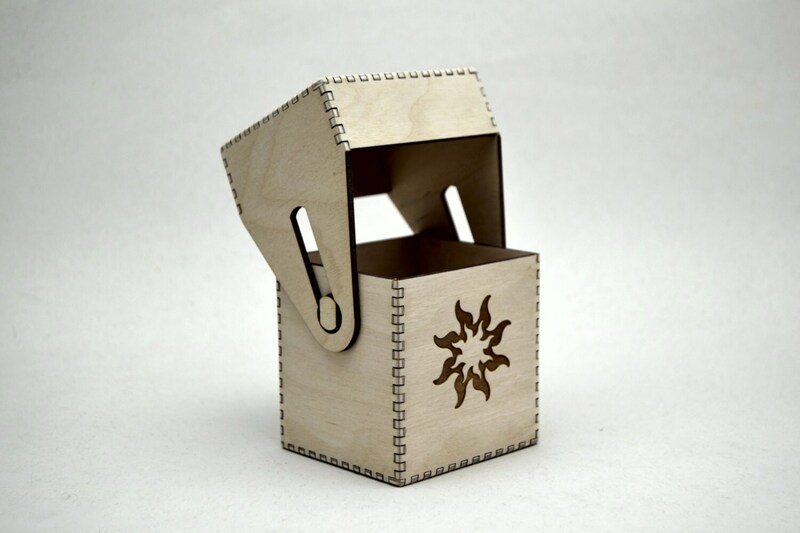 Laser cut and hand assembled from 3mm Baltic birch plywood. We have finished the box inside and out with durable polyurethane finish for years of tournament wins. Grain and color may vary slightly from the photograph. We call our process 'digital wood working'. Please see our about page for more information. 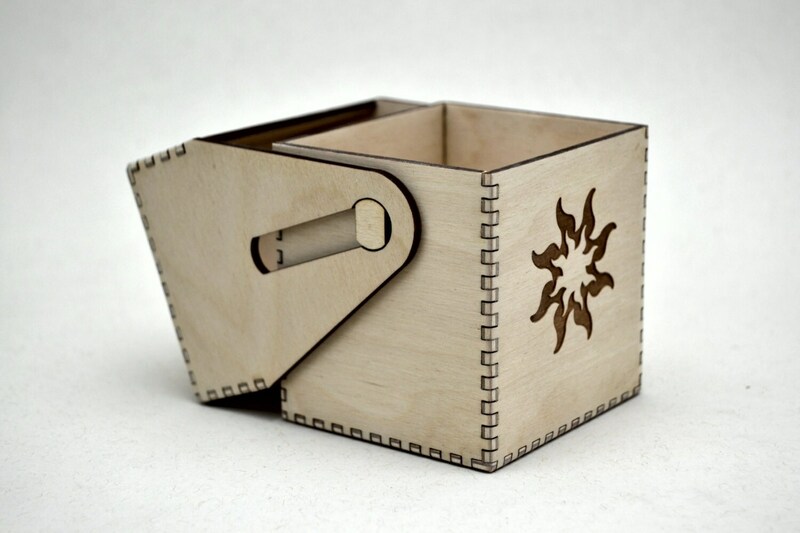 Melissa designed this box and we manufactured it in our Tacoma WA studio.